On Saturday 27th October 2018 Resonance 104.4 FM’s Hello GoodBye Show featured a pre-recorded live session and interview with Kristin Hersh while Dead Space Chamber Music and Byrne/Hunter Duo performed live in the studio. 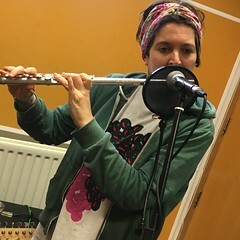 This entry was posted in dexter bentley, hello goodbye show, Hello GoodBye: Playlists, resonance fm and tagged 50 foot wave, Byrne Hunter Duo, Dead Space Chamber Music, dexter bentley, fred abong, hello goodbye, hello goodbye show, kristin hersh, london, radio, resonance, resonance fm, rob ahlers, throwing muses. Bookmark the permalink.